It was a sunny summer morning. I knew I had to get myself going to finish the garden chores before it would get too hot. On my way to the community garden, I started thinking about how I felt. As you know, I’m an enthusiastic gardener, gardening is one of my favourite things to do. And yet, on this morning, I did not feel like that. The garden felt like a chore that I had to do without really enjoying it. While weeding the garden, I reflected on why I see this garden as a chore. 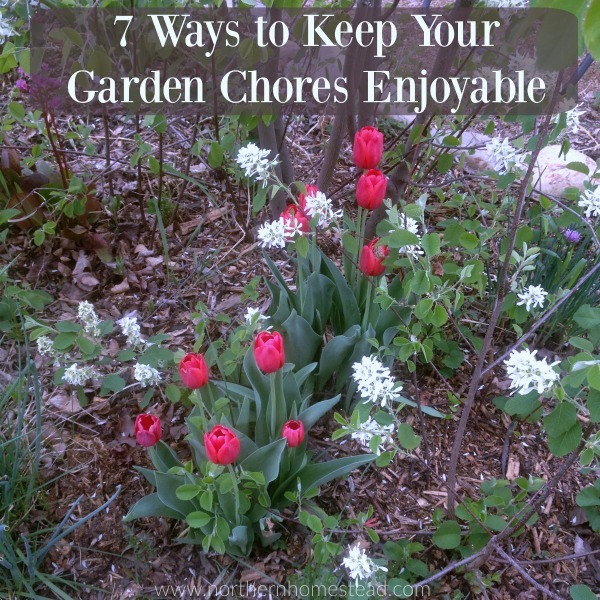 If you see your garden as a chore too, and are happy every fall to be finished for another year, these 7 ways to keep your garden chores enjoyable might help you. Our community garden is not close to our home. 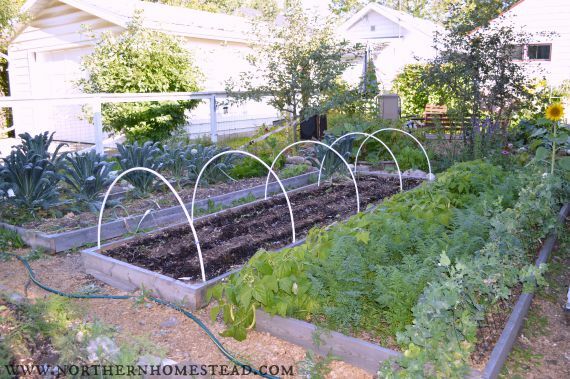 I also see many vegetable gardens planted far away from the house, somewhere behind trees and bushes at the end of the property, because folks should not see the weeds; the only reason to go to the garden is to do some kind of chores, some kind of work. If your garden is far away, garden and work somehow will belong together. You go to till, plant, water, weed, and harvest. Still, people like me who love gardening can find some joy in these chores, but for the garden to be a place of enjoyment it needs to be close to the home. You want to see your garden sprout, grow, and mature. You don’t want to miss the little things, the soft green in the spring, the opening flower and the bumble bee pollinating it, the first fruit and the ripening process. 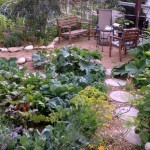 We love to have our sitting area in the middle of our vegetable garden. Lean back in a lawn chair and dream about all the yummy foods that are ripening! 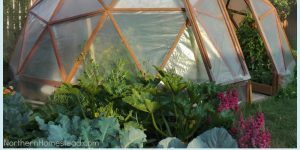 If you have to outsource some of the garden as we do, make sure to use Permaculture zones. Growing a traditional garden that is tilled every spring, and maybe even in the fall too, adds a lot of hard work. Covering the soil with mulch eliminates so many chores. Most of our garden area is super soft and weed free in the spring, ready to be planted in without doing anything. Areas that have some weeds get cleaned and if needed we loosen the soil with a garden fork. In the fall we make sure to prepare the garden for winter so come spring we are ready to plant. 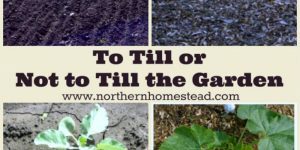 Read more at 3 great no till gardening methods and To till or not to till the garden. 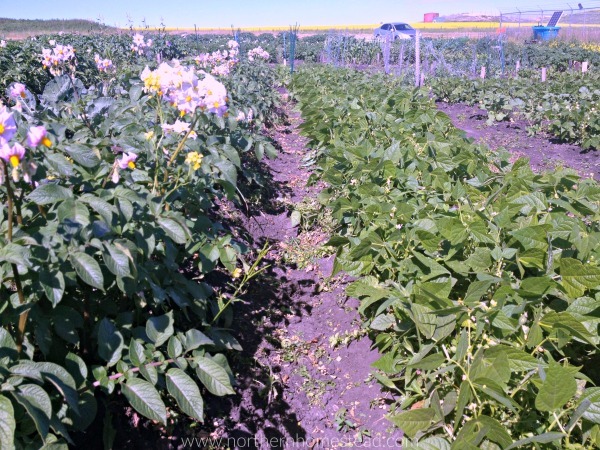 Not just the flower garden is for beauty and enjoyment, the vegetable garden can be just the same. Most vegetable plants have ornamental leaves and/or beautiful flowers, too. 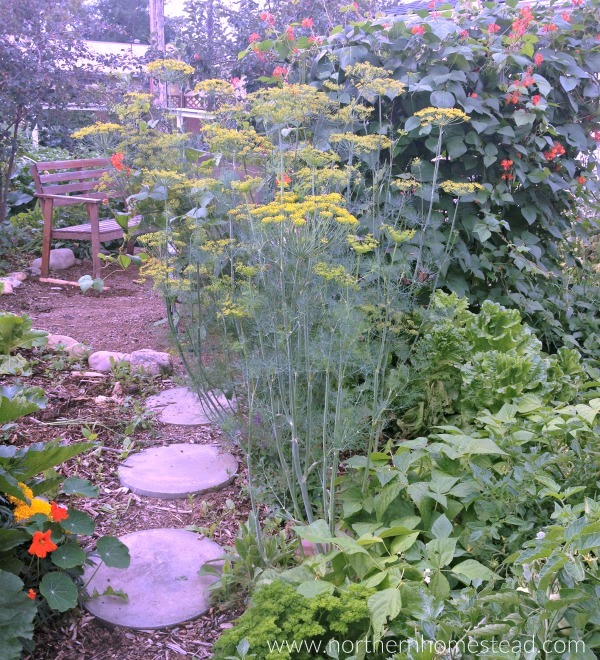 Our garden is a mix of flowers, vegetables, herbs, and greens. Perennials and annuals often grow happily right next to each other. Too often is a vegetable garden grown not for beauty, planted in boring single rows. 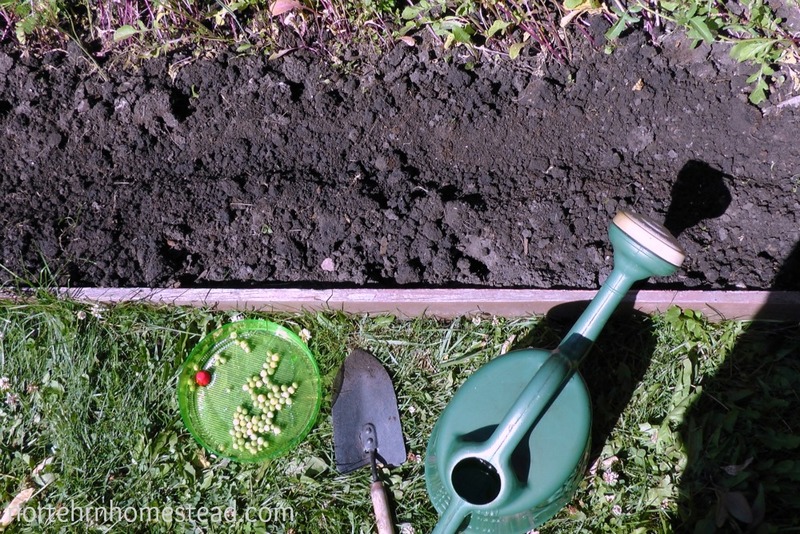 This might help you to do some of the weeding chores with a tiller or tractor between the rows, but if you mulch the garden, tilling is not necessary anyway. See how we turned our lawn into a garden. 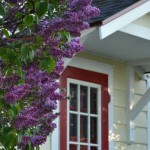 May long weekend seems to be a great time in our area to plant the garden. While the ‘non gardeners’ enjoy a camping weekend, gardeners plant their garden to be done with planting for another year. This way, planting is a real garden chore. Don’t do that. There aren’t many plants that like the same environment for sprouting. Some do well in cool wet soil, others prefer warm soil. Planting seeds and seeing the miracle of life develop is one of the biggest enjoyments in the garden. 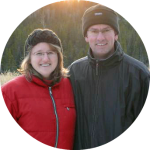 Start planting as soon as the snow melts, and continue as long as the weather permits. See When to plant what and why not follow the general rule. Generally a mulched garden does not have many weeds. Part of weeding can be done first thing in the morning, alongside harvesting some greens for the morning smoothie or the salad. 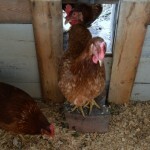 Pull weeds whenever you see a weed, chop and drop or feed to the chickens. 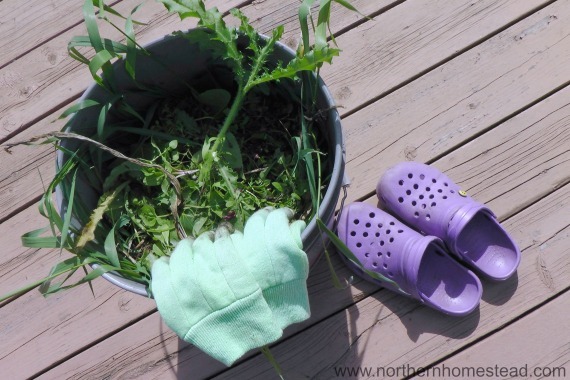 If you weed the garden regularly with a garden hoe all throughout the hot summer, and get your kids involved too, they will never forget all the weeding they had to do during childhood. Yes, weeding does need to be done regularly, but it does not have to be a huge chore. 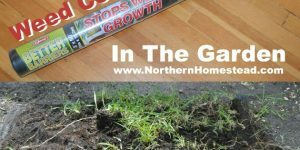 Learn more at How to deal with garden weeds. Since summers can be dry and hot, exposed soil dries out very quickly. Mulch is a real blessing here. Most plants really just need to be established, after that, if mulched well, they will not need watering. See also How to water your garden so you do not have to water all summer long. If your garden is out of your sight, you might be greeted by some squash surprise or bolted salad greens, and harvest days can be overwhelming. Not so if you are right in there every single day. What a joy to snack on ripe tomatoes, peppers, and cucumbers. To pick the daily ingredient for lunch and dinner. 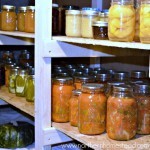 To plan canning and preserving days and enjoy all of it in the process. 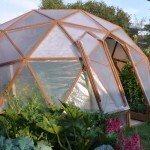 Gardening for weak, sick and lazy gardeners will help you to get started. 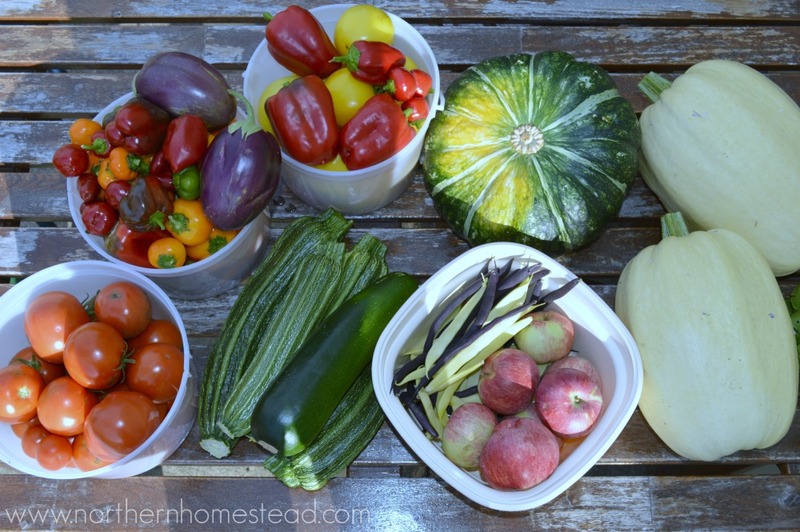 A vegetable garden can be a beautiful and productive place of enjoyment. 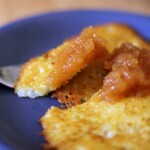 Vegetables are really just better flowers, they bloom AND produce yummy fruit to enjoy. 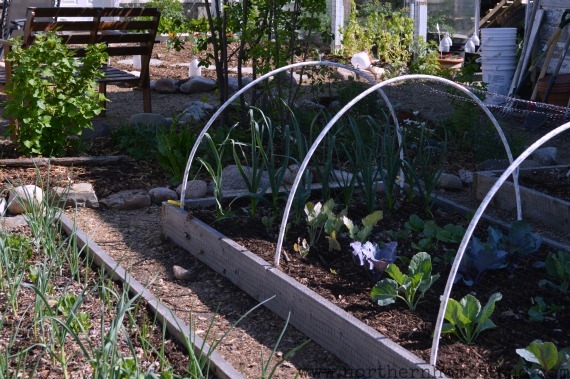 A good mixture of vegetables, greens, and flowers can transform your garden into a delight. I’m in Washington State. I was doing great keeping up with the backyard garden chores and 10 fruit trees until 2 big storms came in and blew everything to heck. I had to pick all the apples during the first storm so I’ve been up to my eyeballs in those. The wind took down half my 12 ft. bean trellis. I just piled some soil onto the exposed root systems and propped it up with some metal fence poles. The only beans left on I was going to use for next years plantings. The sunchokes took a big hit and most broke-off and just as they were blooming so pretty! I’ll need to be better prepared next year by building a support system for that bed. The garden is deer/rodent fenced so the blown leaves are piling up nicely along it, thought I’d just wait until the next storm blows the rest off before raking up and putting into the compost bins. I do not garden in the winter, after all that gardening & canning I did it’s time to sit and read and cuddle with the kitties and enjoy the fruits & soups of my labor. It was a glorious year. Thank you God! There is not much we can do about the weather except make the best of it. It looks like you have done just that. Enjoy your kitties and yummy foods you were able to grow. Thank you Jack! You got a big garden there and lots of goodies to enjoy.